Easy to work with, powerful sound! That’s the GREYHOUND Microphone Cable Series. GREYHOUND products were an instant success on their initial launch in 2010. Now we’ve revised this entry-level range, and ambitious musicians with an eye to their budgets can look forward to further improvements from January 2018! We’ve designed a new high-quality metal XLR connector exclusively for the Greyhound Series, with a shorter sleeve and enhanced grip. 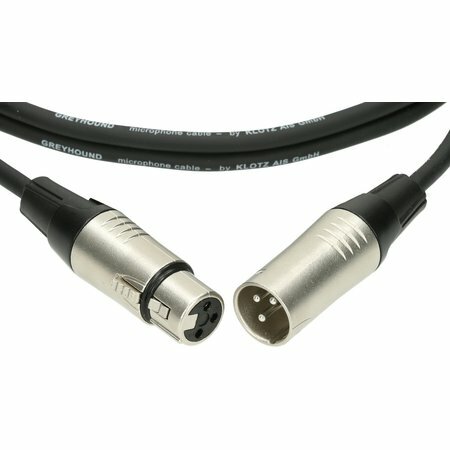 The cable itself has a larger cross-section of 2 x 0.22 mm² and outer diameter of 6 mm. Its rugged design still retains superb flexibility. High-quality copper (purity 99.95%) guarantees excellent signal transmission and superb sound. Available in a range of lengths and exclusively in black, because black is beautiful! 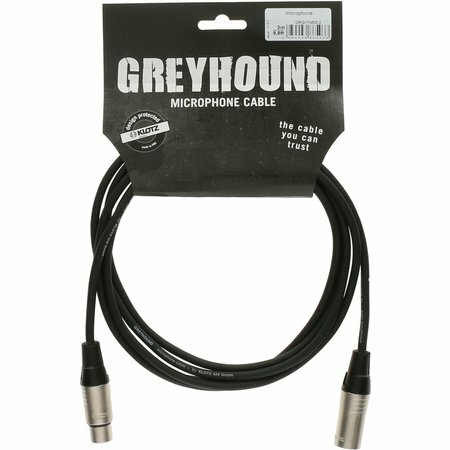 The GREYHOUND entry-level microphone cable series is the ideal doorway to the world of KLOTZ Cables – with dynamic sound, durable design and reliable performance. And all this at an unbeatable price! Getting musicians off to a great start! Designed and developed in Germany, and manufactured in PRC by KLOTZ AIS. GREYHOUND – the cable you can trust!